In the future, personal computers have developed into "Persocoms", mobile computers that look like human beings. Hideki Motosuwa, a prep school student, desperately wants to buy a Persocom but cannot afford to. One day he finds a Persocom that has been thrown away and decides to keep it. When he turns on the Persocom, all she can say is "Chii" so he decides to name her that. After a while it starts to become apparent that Chii is more than an average Persocom. Having much better performance, it seems that Chii might be a "Chobit", a type of advanced Persocom rumored to have independent thought. 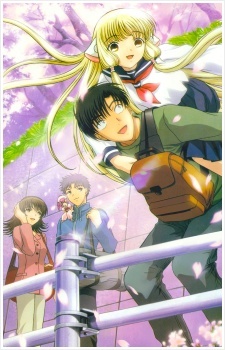 Watch Chobits Episodes Online at Animegg.org. Chobits is available in High Definition only through Animegg.org. Choose an episode below and start watching Chobits in Subbed & Dubbed HD now.